Back for the second year, Oktoberfest on the Square is the best Oktoberfest in South Jersey!! Last year the Garden State really showed us how to party and we are looking for even more fun this time around. A partnership between Brauhaus Schmitz and Local favorite Keg and Kitchen this Pop-Up festival has something for everyone! We will be building a huge tent and decorating it in Bavarian blue and white to bring our authentic feel of Oktoberfest to Haddon Ave. 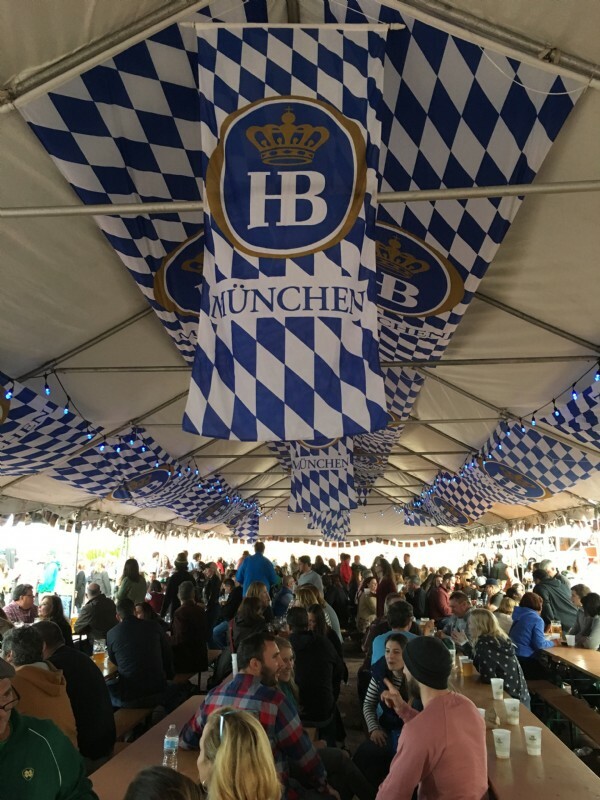 Imported tables and benches paired with giant steins of beer will transport you to Munich for this fun filled German festival never experienced in South Jersey before. The event is free to attend on a first come, first serve basis and is pay as you go. However, limited VIP tickets are available which reserves you a place for you and your group to sit! $25 VIP Reserved Seating available includes keepsake glass Liter mug and first Liter of beer! Additional tables are first come first serve. Traditional German festival food including: a pig roast, sausages, sauerkraut, potato salad, curry wurst and French fries. Beers: Weihenstephaner Festbier, Weihenstephaner Hefeweizen, and Spaten Oktoberfest. Live Music featuring "This way to Egress" from 2-8PM with German Oompah mixed in for fun! View More Events Organized by Brauhaus Oktoberfest Team. This event is organized by Brauhaus Oktoberfest Team.